Ever wonder how businesses start in other countries? Travel to Montreal to learn about the different ways entrepreneurs start and grow businesses. From an organic cola company to a high-tech startup, we'll get the insider's view from the people behind five recently launched successful ventures. 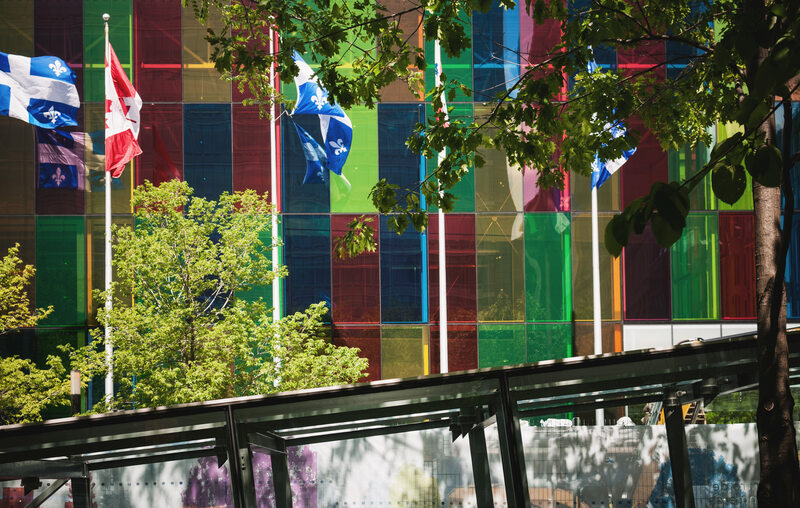 Visit the second largest French-speaking city in the world, and one of North America's top travel destinations, to experience culture and daily life that seems a world away. Professor Bilodeau is an entrepreneur who is an owner in two small businesses, a direct marketing company in the alternative health space located in Maine and a television network providing vacation information located in the South East. Prior to joining USM full time, Professor Bilodeau dedicated his time to starting and growing these two ventures while also teaching in the adjunct faculty. Over the years, he has taught courses in entrepreneurship, marketing, advertising, professional selling, CRM, and product development. He also managed the USM Student Business Plan Competition for 8 years and was a senior advisor at the Center for Entrepreneurship. Prior to his career in business, he worked in a clinical laboratory where he conducted research and testing involving tumor markers. In addition to teaching courses in entrepreneurship, creative strategies, sustainability, and marketing in the School of Business, Professor Bilodeau serves as the Faculty Advising Liaison for his department, and is a member of the Advisory Panel for the Ci2 Lab. In his free time, Professor Bilodeau enjoys yoga, meditation, traveling, drawing, and exploring the vibrant restaurant scene in Portland, Maine (where he resides) and Montreal, Quebec (where he visits often). A frequent adviser to public and private concerns, such as AAA of Northern New England, Fairchild Semiconductor, National Semiconductor, the Camden and Rockland Water Company, the Maine Medical Center, Wang Laboratories, various colleges at USM, J.E. Goold & Co., Olamon Industries, and Mountain Valley Property, Dr. Voyer is also the author or co-author of many monographs and journal articles. He co-authored the book The Strategy Process: Collegiate Edition, as well as the Instructor's Manual for that and other editions of that text, and also jointly wrote the Strategy Process Analyzer, an electronic publication. Professor Voyer likes to take tourists on walking tours in Portland. He does tours of the Old Port for the Maine Historical Society, of the State Street Area for Greater Portland Landmarks, and of the Eastern Cemetery for Spirits Alive. He and his wife also like to travel, having visited the Netherlands, Italy, Germany, Switzerland and Austria in the last few years. They hope to visit Iceland, Ireland and Scotland in the next few years. When he’s not traveling, Prof. Voyer likes to read non-fiction books (on history, society and business) and crime caper novels. He also likes to watch television series—some network, but also cable network and Netflix original series--and the Red Sox and Patriots. The application deadline is April 30th along with a $200 non-refundable deposit. The approximate program fee is $990. This does not include transportation to/from Montreal, nor does it include tuition and fees - these items are an additional cost.This fee includes accommodation, in-country travel, site visits, some meals, and iNext's comprehensive insurance plan. All participants on USM travel programs receive the in-state tuition rate regardless of residency.